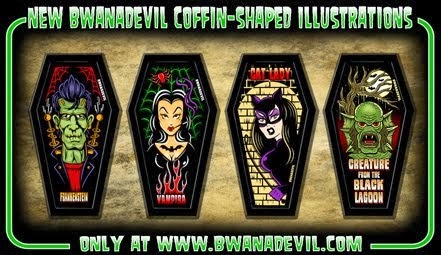 BwanaDevil is formed by two artists from, Spain. 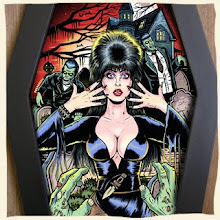 Their motivations and interests have always been closely linked to Rock and Roll, Tattoo Art,Vintage comic books, Horror and Sci-Fi B movies. Ultimo trabajo realizado por BwanaDevil para un recopilatorio Rockabilly que lanzara muy pronto la discografica Union Square Music (London). 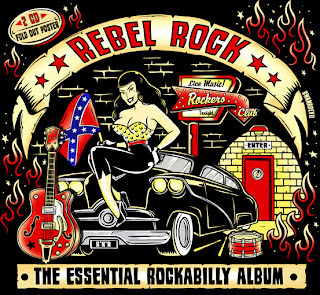 Design by BwanaDevil for a Rockabilly compilation CD for the UK (London) Record Company Union Square Music. 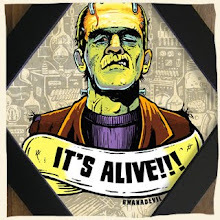 Frankenstein (The Monster) Diamond framed print! Click & find it on Etsy!